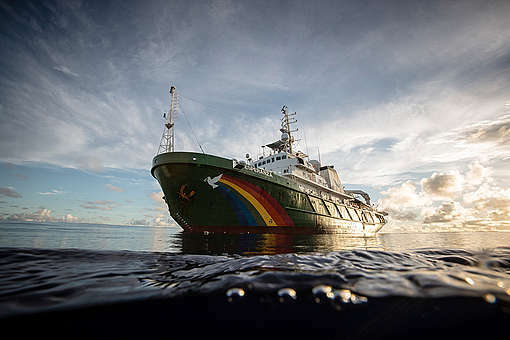 Amsterdam, Netherlands – Six Greenpeace activists have been arrested by the captain of a giant tanker, while peacefully boarding the 185-metre long cargo loaded with palm oil products from Wilmar International, the largest and dirtiest palm oil trader in the world. its absurd for activists to be falsely arrested. What about dirty soya bean oil? On a per litre basis, soya bean oil requires even more land than palm oil. Why is Green Peace silent about dirty soya bean oil?